This past weekend, I had an opportunity to watch a new mini-series from National Geographic: Wild Mississippi. I grew up just a few hours away from the Mississippi River, so it was nice to learn more about it. The three part series will premiere on Nat Geo WILD this Sunday, February 12, at 8 PM ET. Raging Waters (Part II). 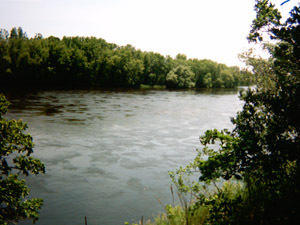 The second episode shows what the river is like in the springtime. This is when all the snow and ice melts, which can cause some pretty massive floods. I didn’t like this episode as much as the first, but it did have some awesome footage of coyotes and flying squirrels (I never knew they could “fly” up to 90 yards!). Delta Blues (Part III). In the third and final episode, you’ll see some cool videos of Mayflies (which can create swarms so large that they show up on dopler radar! ), and some great footage of bats hunting at night. Anyway, if you’re a subscriber to Nat Geo WILD, be sure to setup your DVR for February 12, at 8 PM ET. FYI, the Smithsonian channel has been running a series called ‘Aerial America’ that features one state per program. It’s shot from the air (duh) in amazing HD quality. I highly recommend it. I’ll be sure to watch the Mississippi series, it sound very interesting.